Google Inc revealed on Thursday that one of its self-driving car prototypes was involved in an accident for the first time. In the collision, a Lexus SUV that the tech giant outfitted with sensors and cameras was rear-ended in Google's home city of Mountain View, where more than 20 prototypes have been self-maneuvering through traffic. The three Google employees on board complained of minor whiplash, were checked out at a hospital and cleared to go back to work following the July 1 collision, Google said. The driver of the other car also complained of neck and back pain. In California, a person must be behind the wheel of a self-driving car being tested on public roads to take control in an emergency. Google typically sends another employee in the front passenger seat to record details of the ride on a laptop. In this case, there was also a back seat passenger.Google has invested heavily as a pioneer of self-driving cars, technology it believes will be safer and more efficient than human drivers. This was the 14th accident in six years and about 1.9 million miles of testing, according to the company. 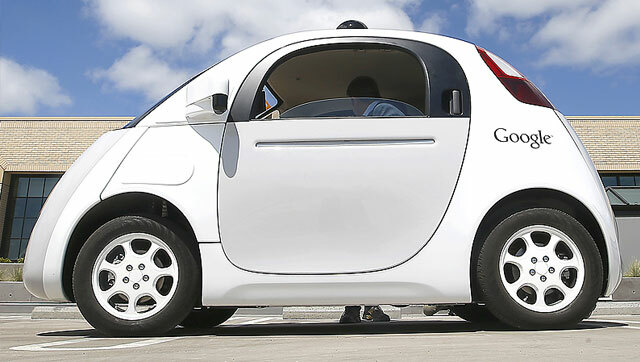 Google has said that its cars have not caused any of the collisions - though in 2011 an employee who took a car to run an errand rear-ended another vehicle while the Google car was out of self-driving mode. In 11 of the 14, Google said its car was rear-ended. In a blog posted Thursday, the head of Google's self-driving car program, Chris Urmson, wrote that his SUVs "are being hit surprisingly often" by distracted drivers, perhaps people looking at their phones. "The clear theme is human error and inattention," Urmson wrote. "We'll take all this as a signal that we're starting to compare favorably with human drivers. "In a telephone interview, Urmson said his team was exploring whether its cars could do something to alert distracted drivers before a collision. Honking would be one possibility, but Urmson said he worried that could start to annoy residents of Mountain View. According to an accident report that Google filed with the California Department of Motor Vehicles about the July 1 crash: Google's SUV was going about 15 mph in self-driving mode behind two other cars as the group approached an intersection with a green light.The first car slowed to a stop so as not to block the intersection - traffic on the far side was not moving. The Google car and the other car in front of it also stopped.Within about a second, a fourth vehicle rear-ended the Google car at about 17 mph. On-board sensors showed the other car did not brake. The driver of that car reported "minor neck and back pain." The SUV's rear bumper was slightly damaged, while the vehicle that struck it lost its front bumper. Mountain View police responded, but did not file an accident report.